For a limited period up to 26 June 2016, Crystal Jade Prestige at Marina Bay Financial Centre is having a Weekend Brunch promotion with optional free flow Champagne. 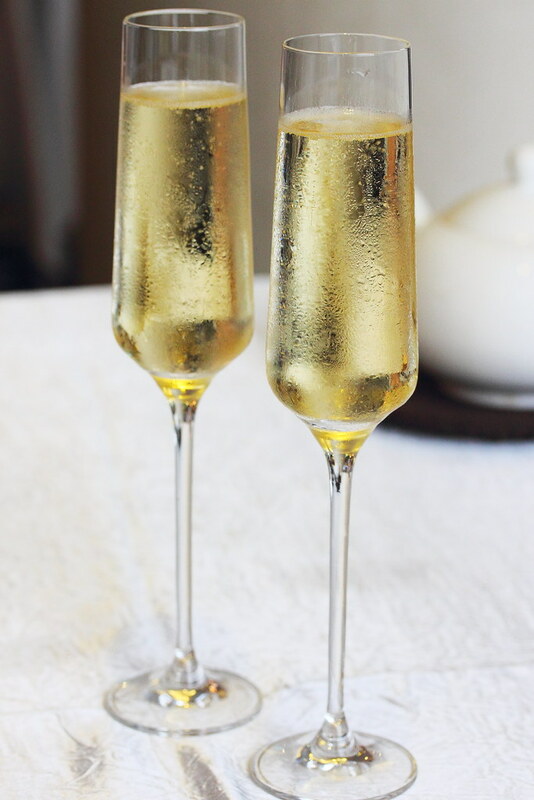 The promotional menu allows guest to choose up to 10 different dishes to be enjoyed with the free flow champagne. The champagne is optional but if you are in the mood for some bubbling weekend, top up another $40 for free flow champagne. The restaurant will be serving free flow Veuve Clicquot Yellow Label Champagne. The weekend brunch menu is broken up into 6 categories. Namely, Soup, Appetizer, Roast, Wok Fried, Dessert and Dim Sum. Guests get to choose 1 item from each category except for Dim Sum which you get to choose 5 items. Unfortunately, the restaurant does not allow mix and match. Hence everyone on the table has to go for the same selection and the portion is served according to the size of the group. 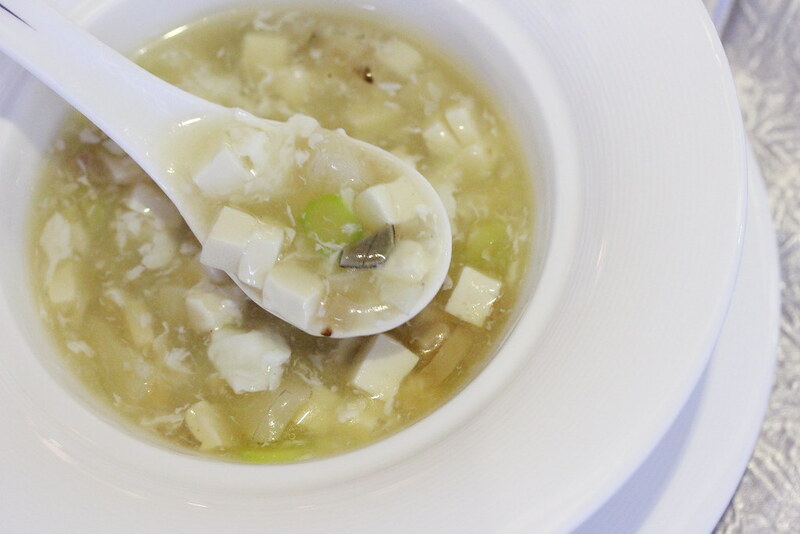 From the soup category, we had the Scallop and Asparagus Thick Soup which is light and comforting to layer the stomach for the free flow alcohol. 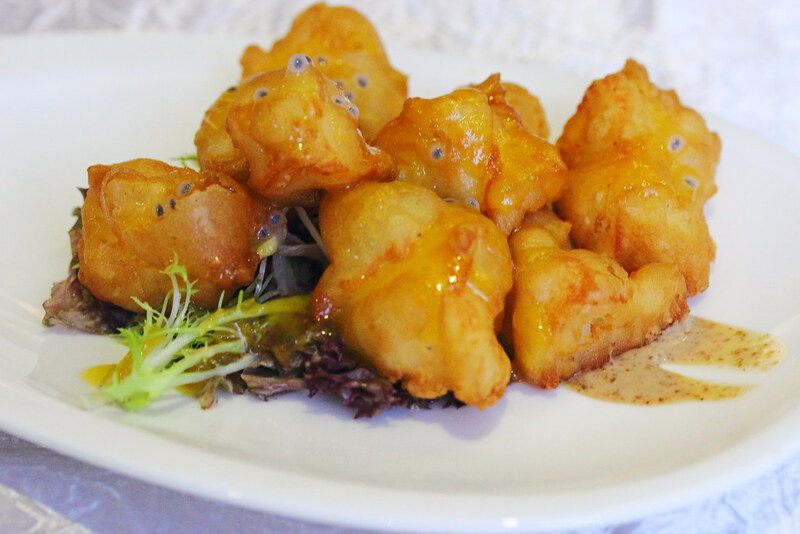 Moving on we have the Deep Fried Cod Fish Cube with Passionfruit Sauce for appetizer. The crispy exterior with its meaty cod fish interior is quite delightful even without the sauce. The passionfruit sauce provides the sweetness to cut through the greasiness, not that it is oily. 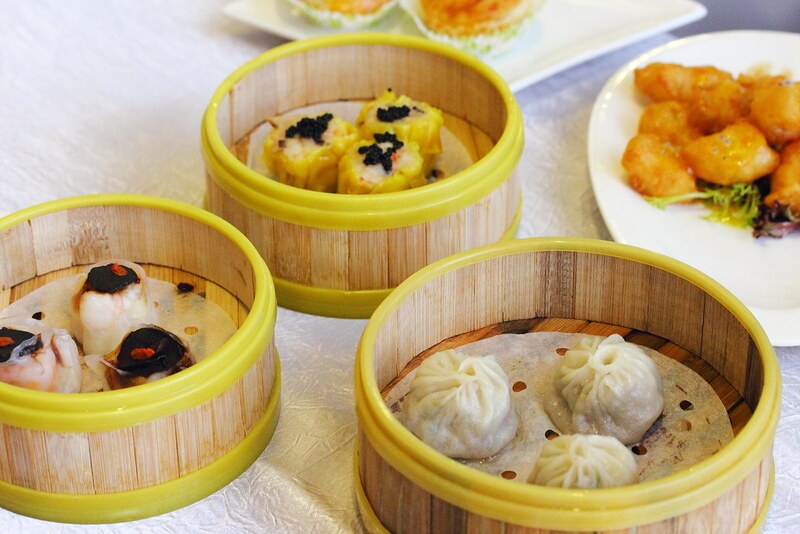 For the five selections of dim sum item out of the ten, we chose the Steamed Shanghai Xiao Long Bao, Steamed Pork & Shrimp Dumpling topped with Caviar, Steamed Dumpling with Shrimp & Black Garlic, Deep Fried Dumpling with Chinese Parsley and Baked Abalone & Diced Chicken Pastry. 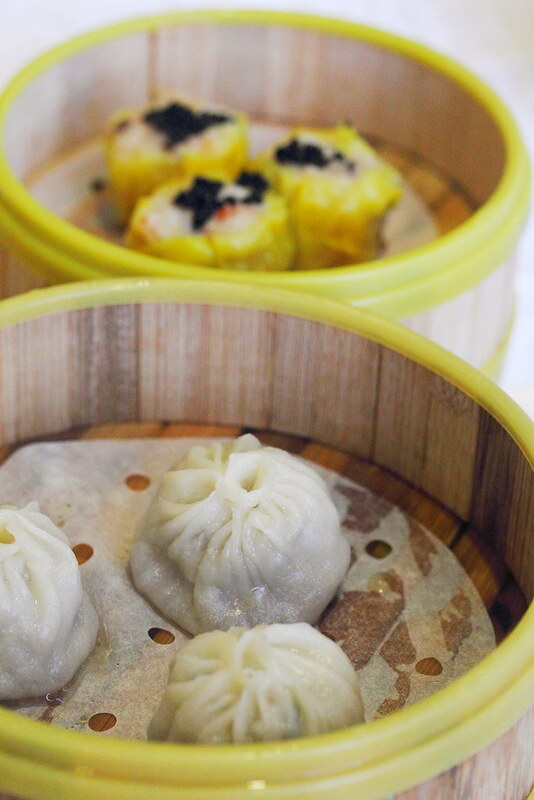 The Steamed Shanghai Xiao Long Bao is pretty decent with a flavourful meaty filling and soup that is hold together with a delectable and soft dough. 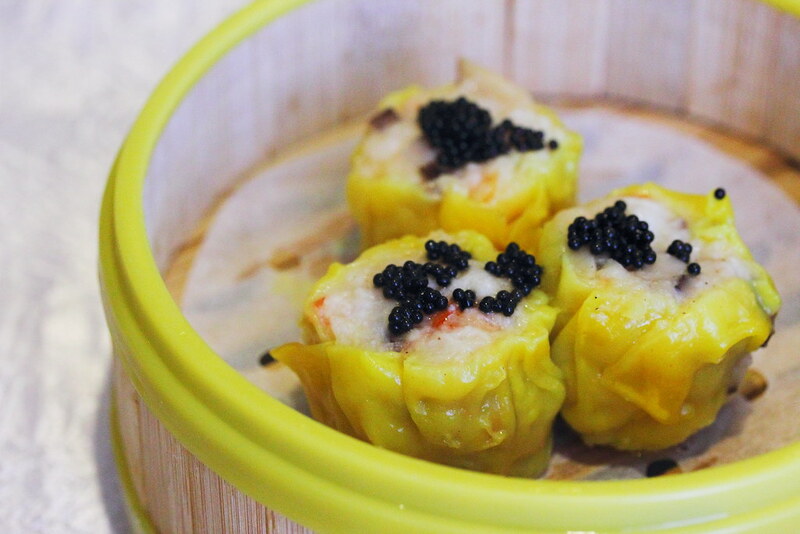 The Steamed Pork & Shrimp Dumpling topped with Caviar is plump and bouncy with the taste of sweet prawn. The additional of caviar provided a touch of luxurious flavour to the finishing. 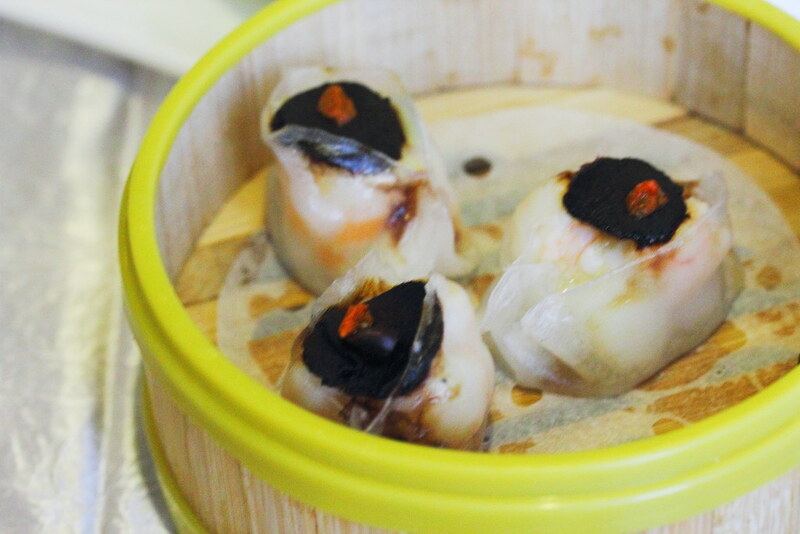 The Steamed Dumpling with Shrimp & Black Garlic is held together in a thin and translucent dumpling skin that is delightful on the palate with the tickling sweetness from the black garlic rounding off the enjoyment. 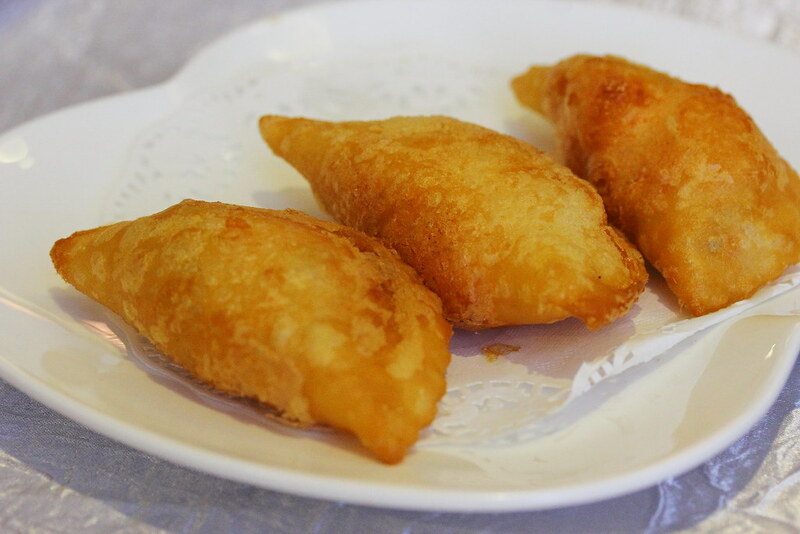 The Deep Fried Dumpling with Chinese Parsley has an enjoyable chewy bite to it. However the filling with Chinese parsley was rather pedestrian. Surprisingly the Baked Abalone & Diced Chicken Pastry was quite good. 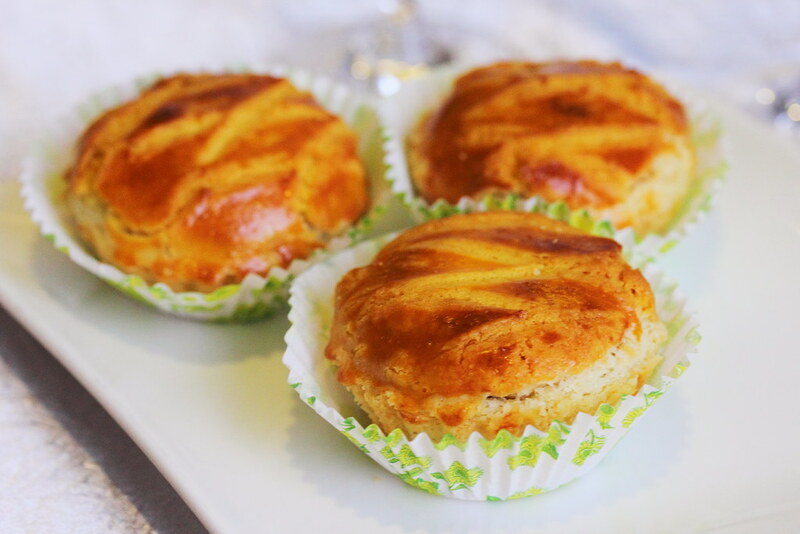 The exterior sugary crust is like Bo Lo Bao (pineapple bun) while the creamy filling felt like eating a chicken pie. A combination in my opinion works but the trace of abalone in the execution is quite hard to detect. 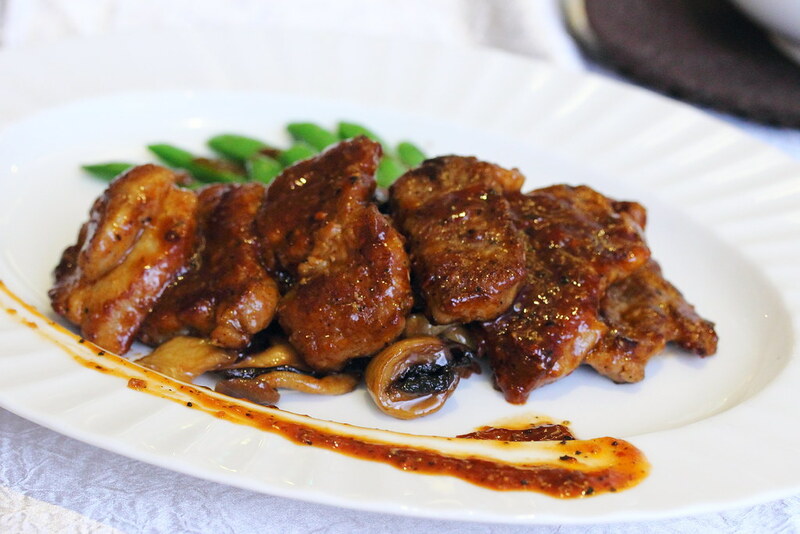 From the Roast, we have a choice of BBQ Pork with Honey Sauce, Soya Sauce Chicken with Rose Wine and Crispy Pork Belly. 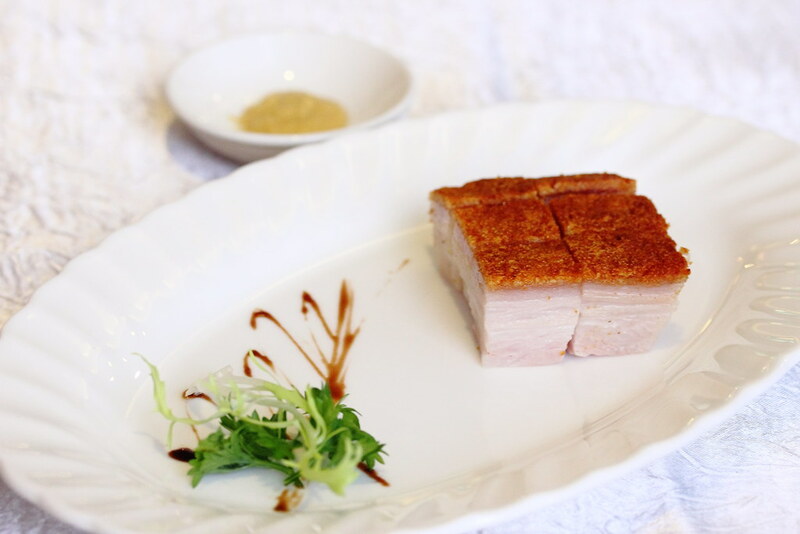 We decided to go for the crackling Crispy Pork Belly that is served with a mustard dipping sauce. I really wish they could serve me more as it was rather good. My favourite dish for the weekend dim sum brunch turns out to be the Pan Fried Kurobuta Pork with Wild Fungus in Chef's Special Sauce, which is from the wok fried category of the menu. The kurobuta pork was extremely tender, with the black pepper sauce giving it a peppery kick which will be well received by the local. Wrapping up the brunch is the Chilled Black Sesame with Coconut Milk. Black sesame is usually warm and is quite rich in flavour. 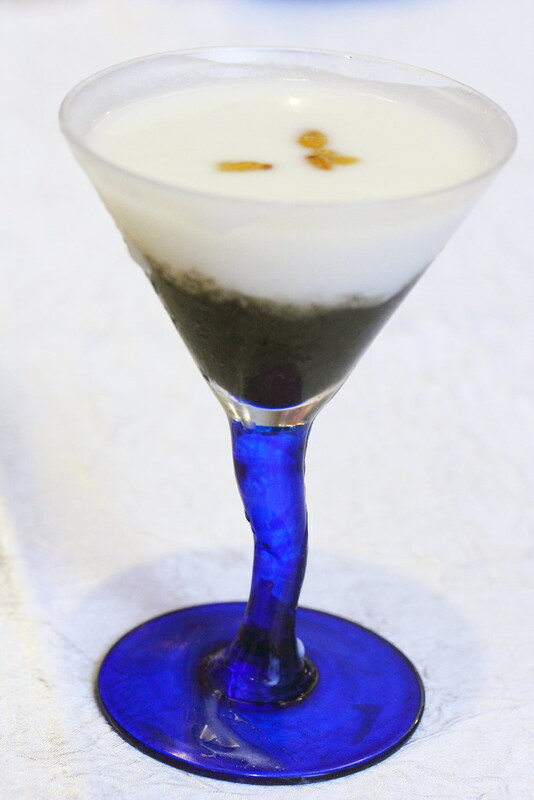 The chilled version is lighter and smoother with the coconut milk providing the harmony.